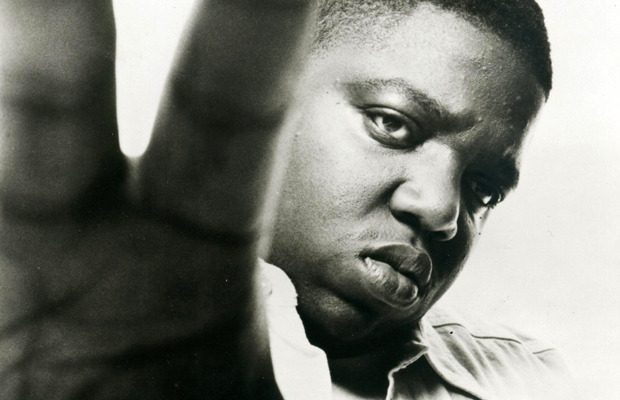 This past week found the hip-hop community commemorating one of its saddest anniversaries — the March 9, 1997 murder of Biggie Smalls. Many rappers took note, and a lot of our choices paid tribute in ways ranging from touching to filthy. Below, the lines of the week. 5. “I'm from the era of Biggie Smalls, TLC's 'Waterfalls'/Buying dimebags by the mini-mall” — Redman, 'HS87 Cypher' lyrics The first of our Big-related lines comes from Brick City's finest, Redman. This rhyme paints a complete portrait of a whole era, conjuring up the 90s without wasting a breath. Pap continues the trend with his homage to the master, which incorporates the titles of tons of Biggie songs. This section puns on “Going Back to Cali” and “Gimme the Loot,” of course. It also reflects the feelings of a certain breed of NYC rapper towards the hip-hop landscape after the mid-aughts rise of the South to commercial dominance. This line made the list not for being good, exactly, but rather for being strange. Wayne has always shown deference and gratitude towards his surrogate father, even using him as a benchmark for stunting. But this couplet shows that, even into his thirties and after earning a reported $27 million last year, he still calls on the #1 Stunna for paternal-type favors, and seems as proud as a kid who finished his homework early over the trust he's earned. Dizzy takes a moment and gives thoughtful commentary on an issue that, when raised in hip-hop, often dissolves into bromides and defensiveness — the use of the dreaded n-word. The best part of this is that Wright gives the listener the impression that he's thinking through the nuances of the issue as he's rapping about it. This honesty and willingness to examine your own position is all too rare around any issue, especially one so contentious. We had to end the week with a shout to the master, and this line has the advantage of being funny and unexpected. Fred is a master of the punchline, and this is one of his best in a while.